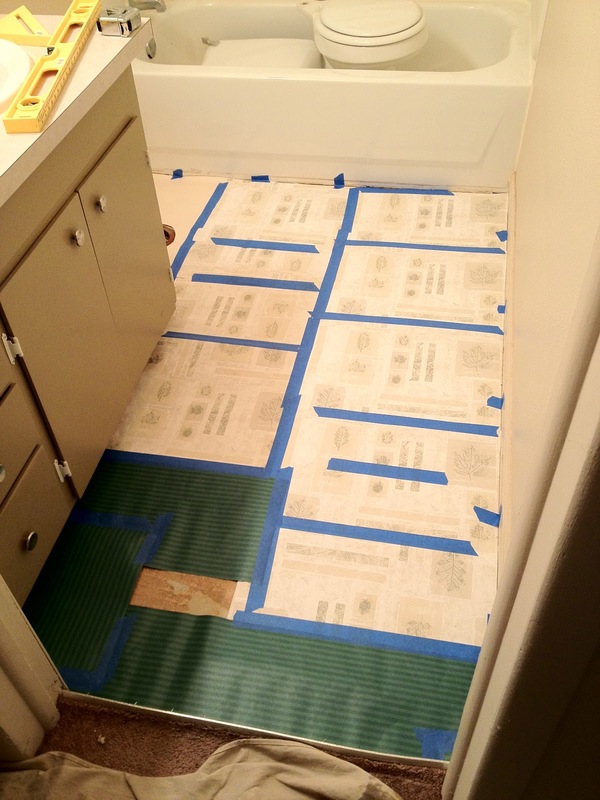 In addition to fixing the drywall, we also fixed the bathroom floor. We could see the above water damage and decided to rip of the floor and replace the vinyl. Like any project where you do this, you ALWAYS find something bigger wrong. It turns out there was some sub-floor damage from and earlier leak. 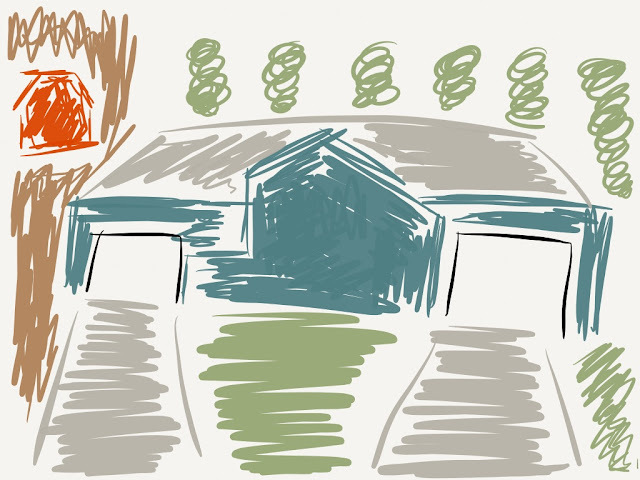 So, the saws-all & Jessi went under the house to cut out the rotten wood. Doesn't Jessi look awesome?! Yeah, I have a pretty fantastic wife. 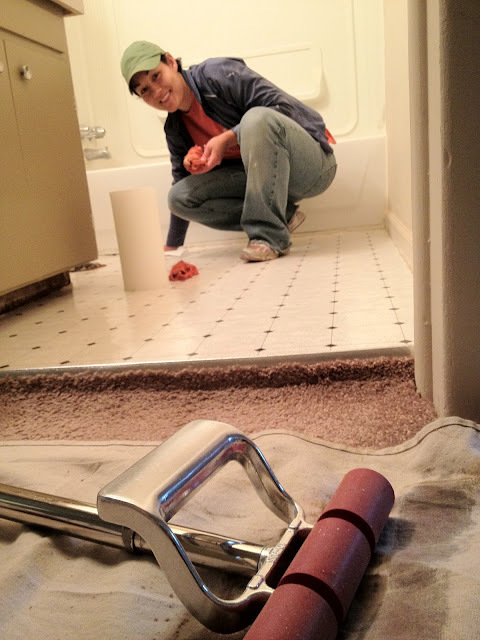 The really tricky part was cutting the wood under part of the bathtub. Once that part was cut out, we added new support beams and replaced that section of sub-flooring. Yeah, the project was much bigger than we thought. 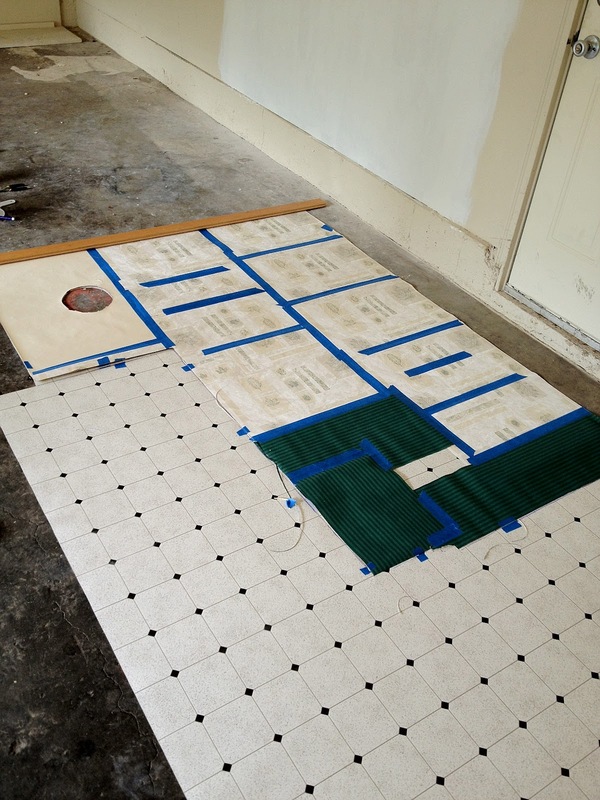 Before we laid the vinyl down we took left-over wrapping paper and created a template of the floor. It's much easier to work with small pieces taped together than trying to cut one big piece down to size. Here's the template laid out on top of the vinyl. We used a straight edge and razor blade to cut the vinyl. 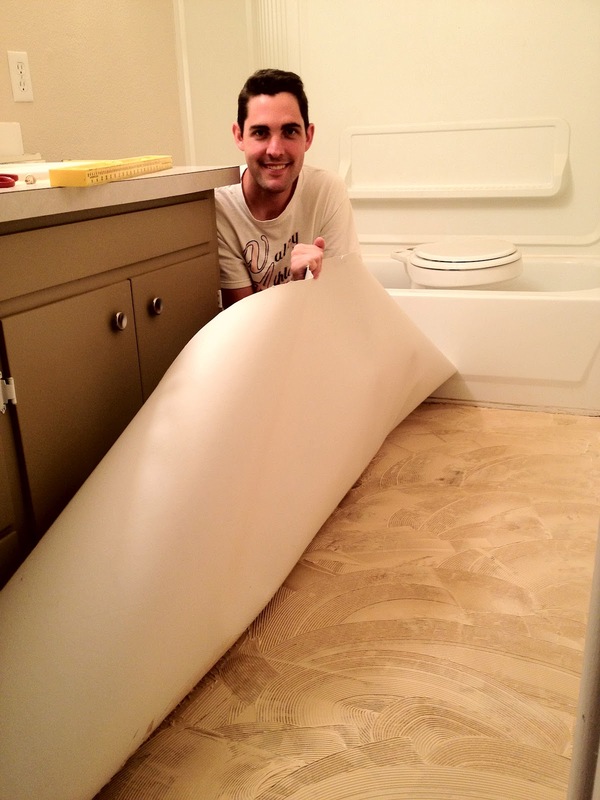 When we got it in the bathroom, it fit perfectly. Awesome! There's Jessi doing the final wipe-down to make sure everything is smooth. That tool in the front is pretty neat. You roll it around on the vinyl to spread and squeeze the glue. We then added caulk EVERYWHERE. I'm fairly certain water won't be getting under this floor. Again, I don't want to be the person who has to replace this floor. Here's what it looked like when we finished. It's a pretty nice bathroom. Wow!!!! You both did a terrific job!! 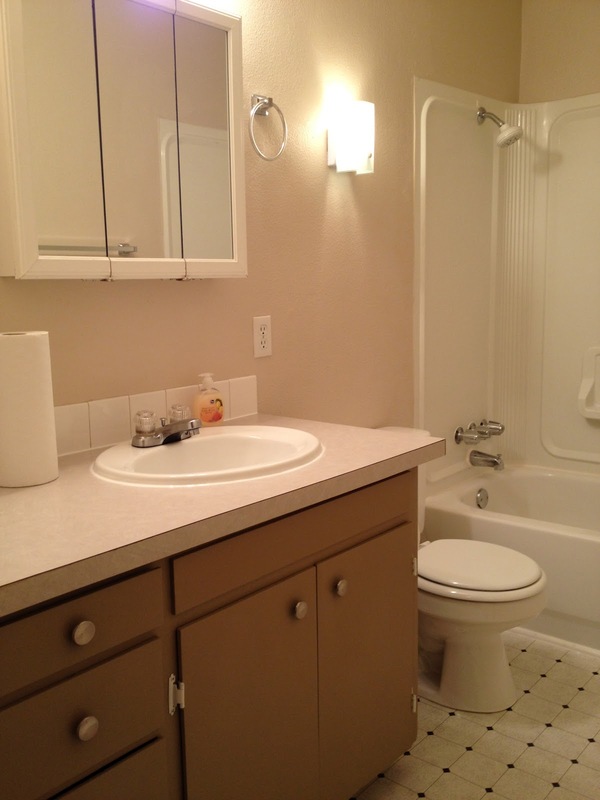 Your bathroom sure looks nice. Love, Grandma M.